Fun to use! Extremely clean my hair after use this Scrub. Amazing scalp scrub! I love this stuff. 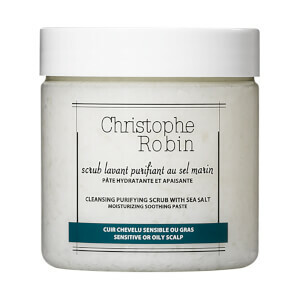 It’s chunky so it’s best to apply in sections and with a small amount of product (you can always add more). It actually lathers/foams when you start to rub into your scalp. 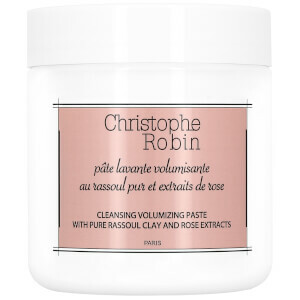 I have fine, thin, curly hair that is color treated & this does a fantastic job of thoroughly cleaning my scalp without stripping my hair or weighting it down. I follow up with the prickly pear hair mask & my hair is soft & shiny. I use this as a once a week treatment & am very pleased. I wasn't really sure what to expect when I tried this product but my friend recommended it so I deceded to give it a go. It actually foams when you apply it to your hair, even though it has the texture of a scrub. I am guilty of using a fair amount of product on my hair so I get a lot of build up. This scrub made my hair feel so clean its amazing! I now use it once a month. I love how clean my scalp feels after using this product. Nice fragrance, not overpowering. 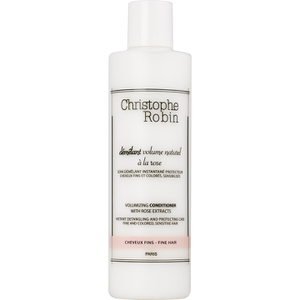 I love this shampoo so much, and I'm down to try other Christophe Robin products. Scoop a little amount of the products and rub it on your hands, When it becomes warm and starts to melt, massage it against your scalp. It lathers a lot, and so comfy. It does pretty well in oil control. In my opinion, it's so much better than Neutragena, Oribe, I just purchased my third bottle. Love this scalp scrub! 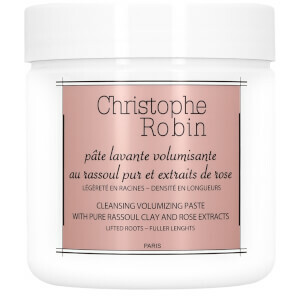 I have very thick straight hair and an oily scalp so this really helps to detoxify and clean my hair. The salt granules are VERY big though, so you have to be gentle when scrubbing or it will hurt. make my hair so smooth !love it!